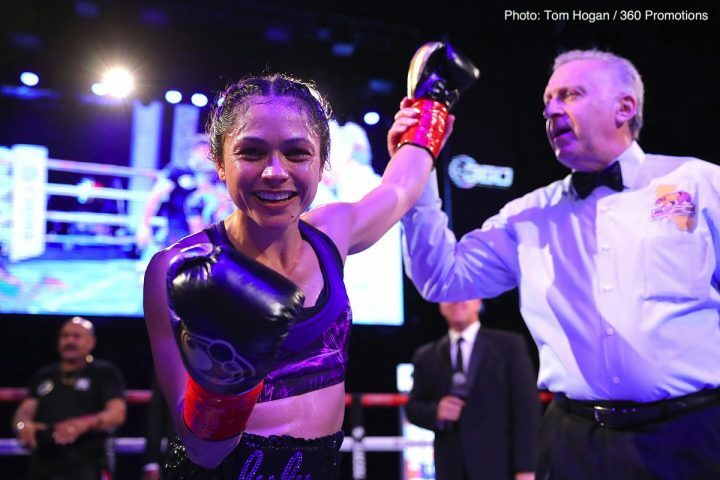 Boxing fans in Southern California were treated to an outstanding evening of world class professional boxing as Tom Loeffler’s 360 Promotions presented the second installment of the acclaimed ‘Hollywood Fight Nights’ series on Wednesday night at the historic AVALON in Hollywood, CA. 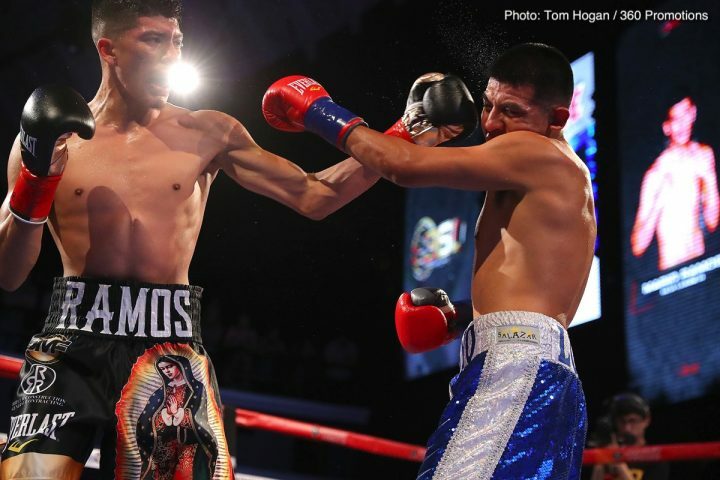 The event was also streamed live worldwide on the 360 Promotions website, www.360Promotions.us. 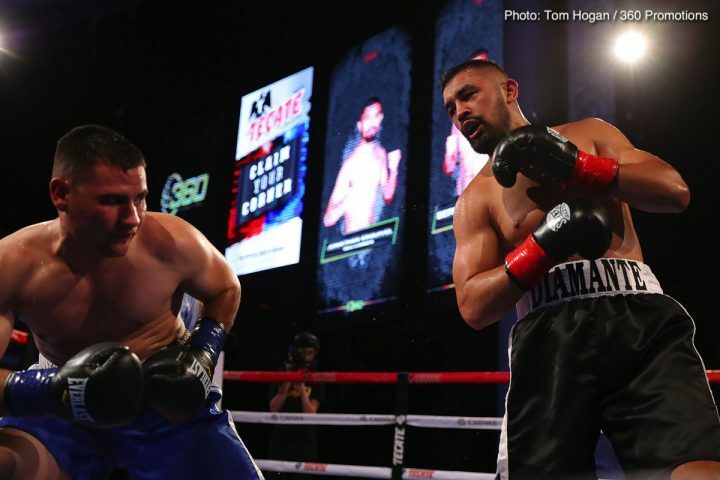 In front of a packed house, former world title challenger Denis Shafikov, (39-4-1, 20 KO’s), returned to the win column with a resounding eight round decision victory over the valiant Hector Suarez, (12-7-1, 6 KO’s). 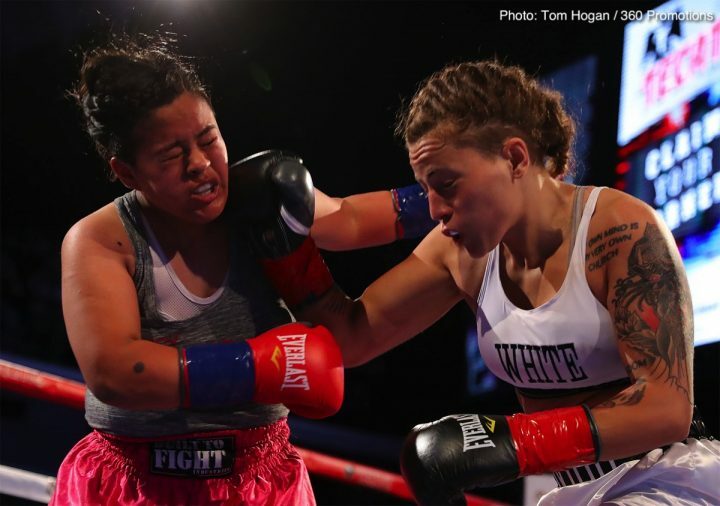 Scores were 80-72, 77-75 and 79-73. 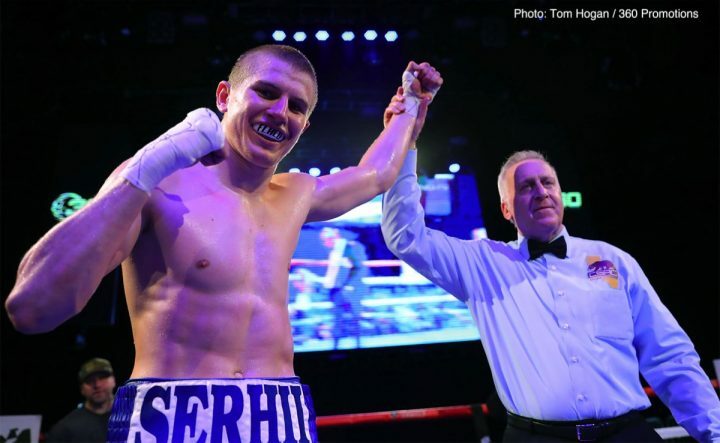 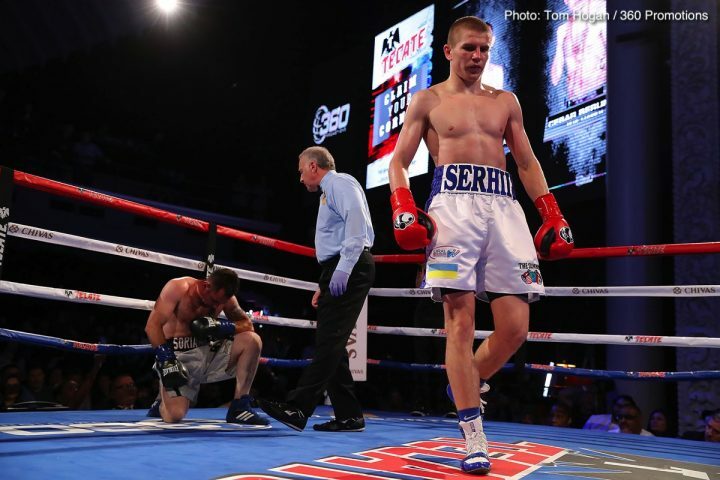 Top junior middleweight prospect Serhii ‘El Flaco’ Bohachuk, (9-0-0, 9 KO’s), kept his perfect knockout streak alive with a second-round stoppage of Cesar Berumen, (26-36-3, 16 KO’s). 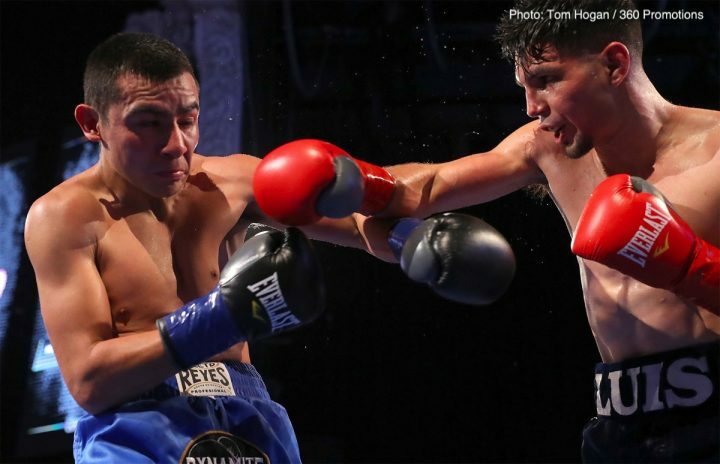 Trained by the world-renowned Abel Sanchez, Bohachuk dropped Berumen twice in the first round and once in the second. 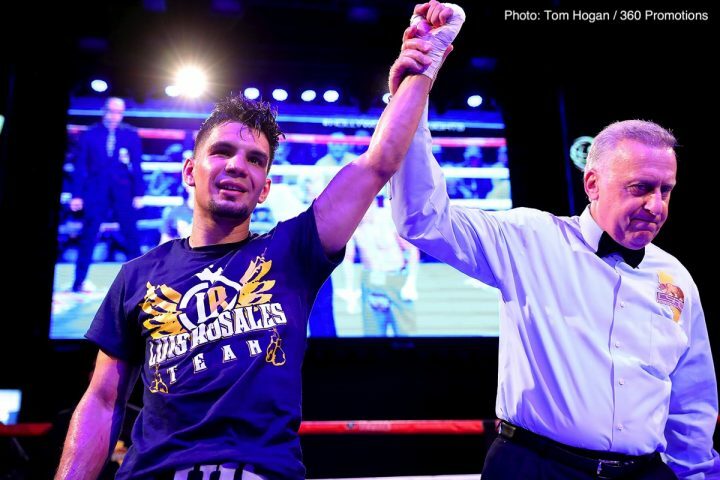 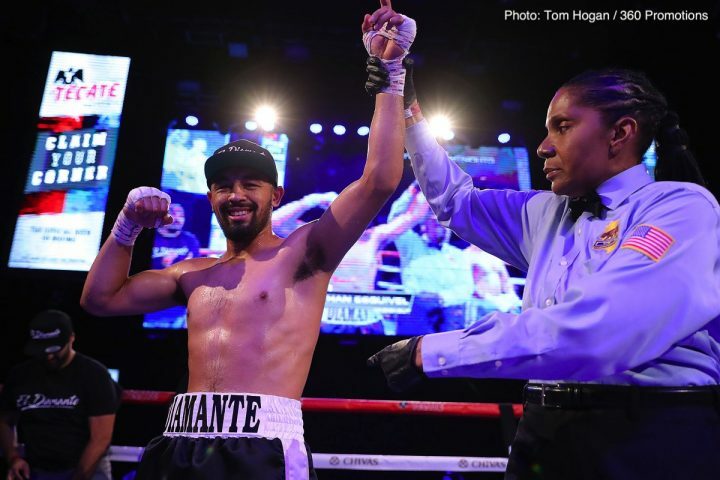 New York City based welterweight prospect Brian Ceballo, (3-0-0, 1 KO), continued to impress with a four-round decision over Adan Ahumade, (3-5-2, 2 KO’s). 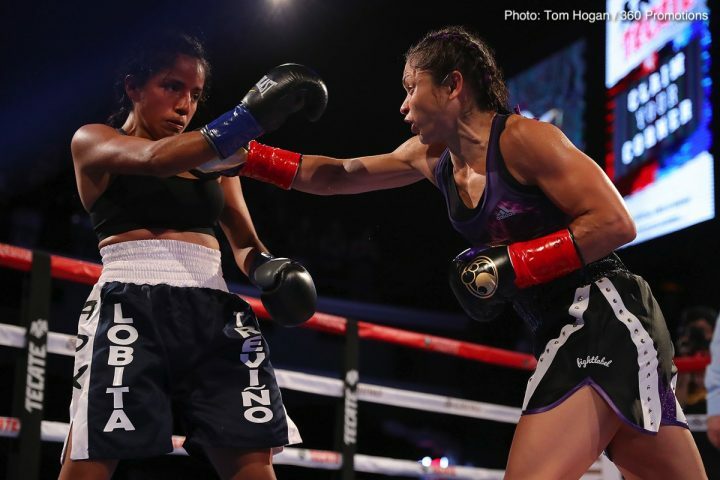 Scores were 40-35, 40-35 and 40-34 for the all-action Ceballo. 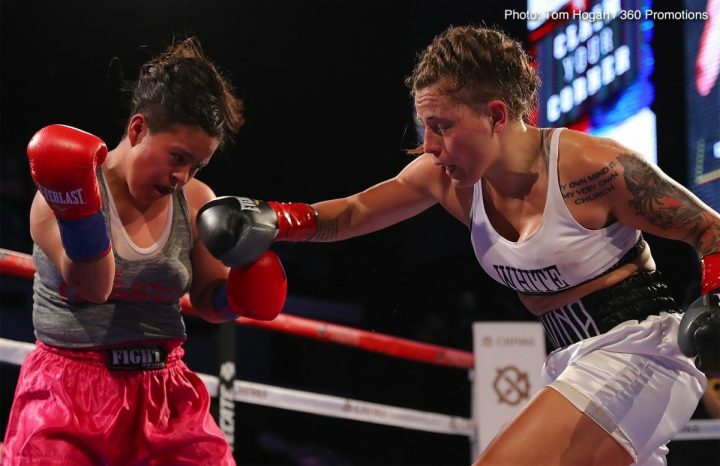 In a special attraction women’s flyweight bout, Louisa ‘Bang Bang Lulu’ Hawton, (8-1-0, 4 KO’s), of Perth, Australia impressively returned to action with a fourth-round stoppage of Elvia Trevino, (2-4-0). 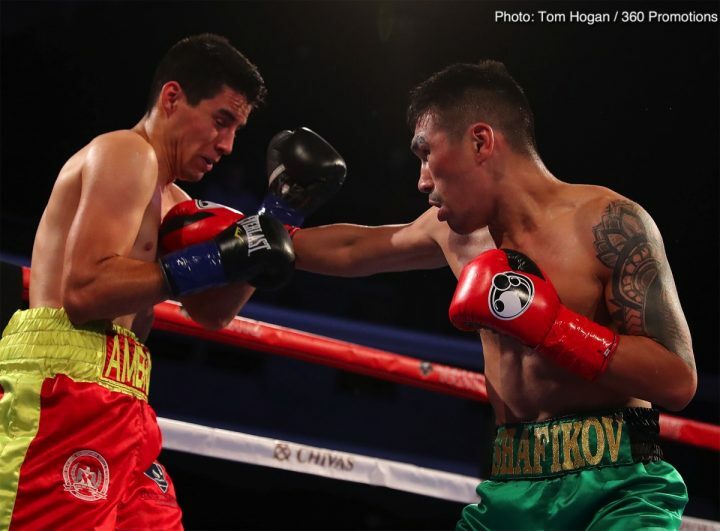 Trevino’s corner called a halt to the scheduled six rounder at the end of the fourth stanza. 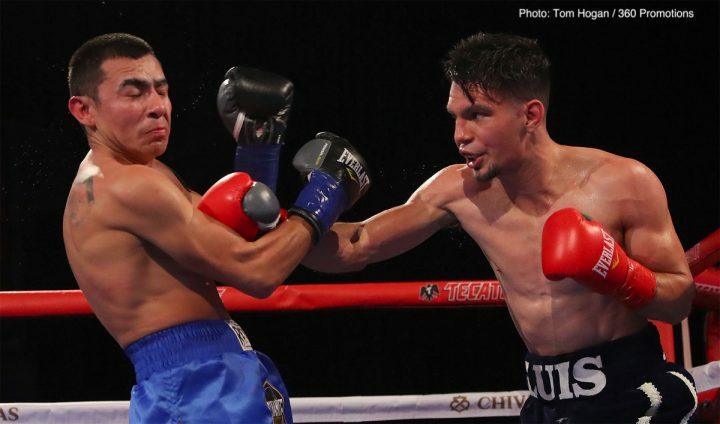 Popular junior lightweight prospect Mario Ramos, (5-0-0, 5 KO’s), stopped rugged veteran Guadalupe Arroyo, (3-12-0), in the final round of their scheduled six round clash. 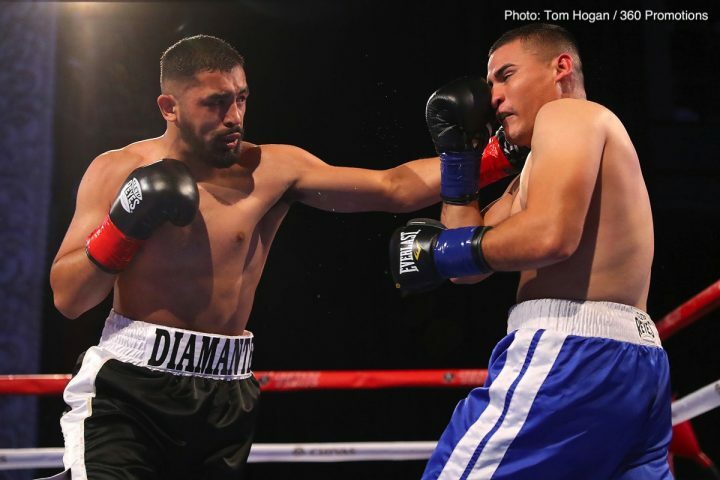 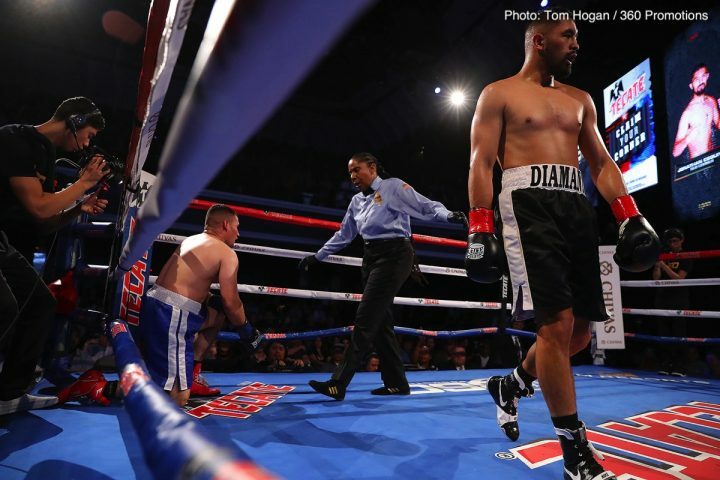 Undefeated middleweight prospect Jonathan ‘Diamante’ Esquivel, (6-0-0, 6 KO’s), knocked out Sergio Lucio Gonzalez, (6-6-0, 2 KO’s) in the third round of their clash scheduled for six rounds. 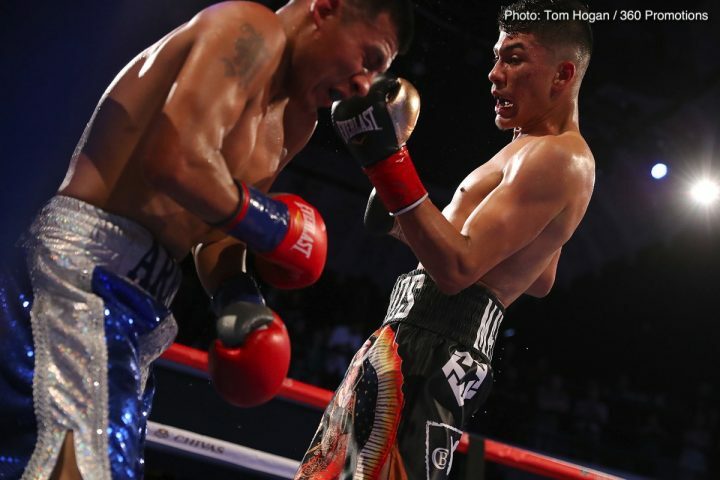 Esquivel dropped Gonzalez once in each of the first three rounds. 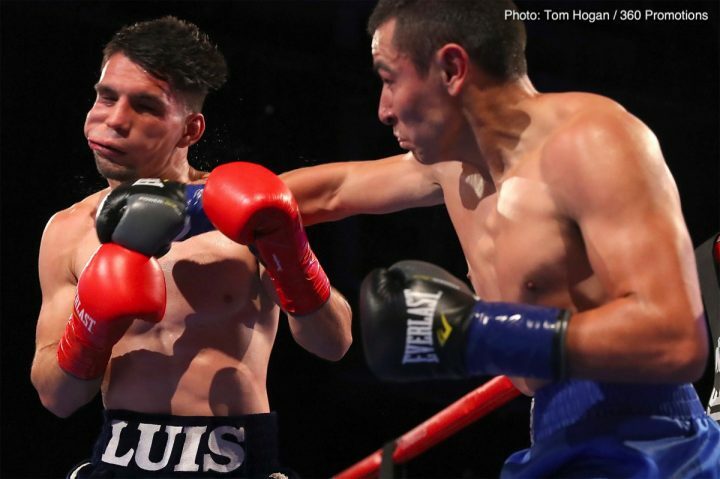 In the featherweight division, Luis Rosales, (8-1-1, 3 KO’s), won a six-round decision over Roberto Pucheta, (10-14-1, 6 KO’s). 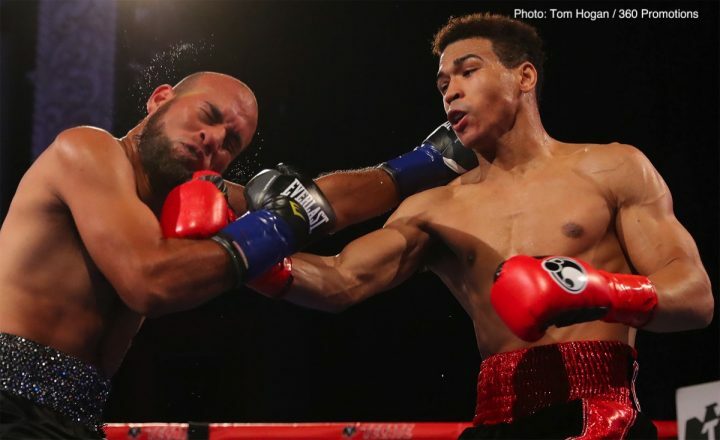 Scores were 59-55 twice and 58-56. 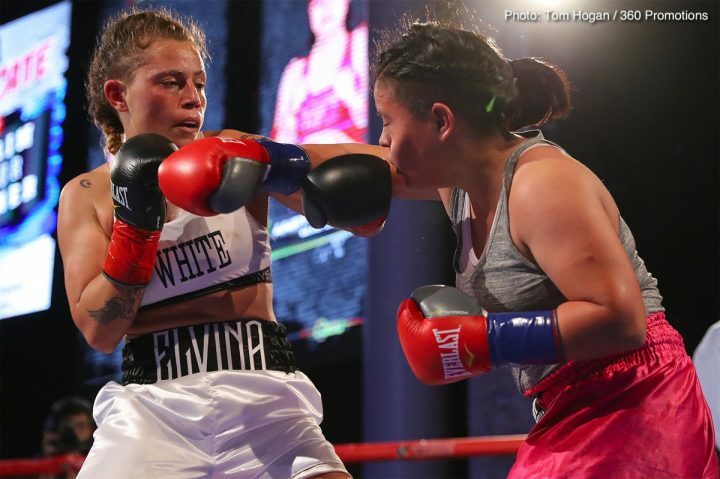 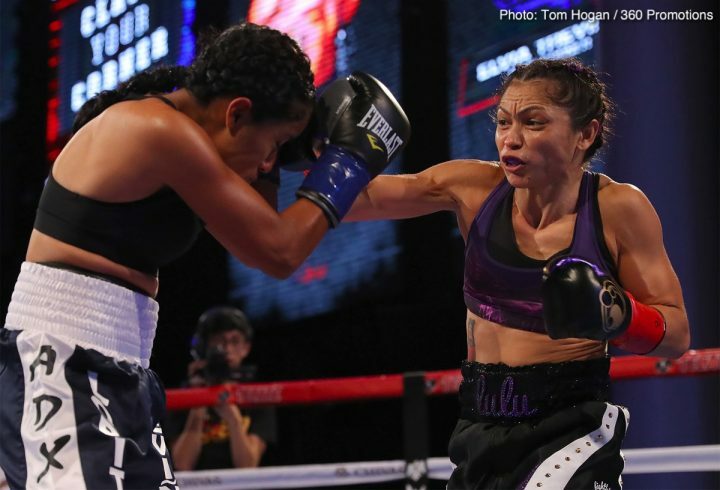 Rounding out the card in a four round women’s junior welterweight bout, Los Angeles native Elvina White, (2-0-0) won a unanimous decision over Annette Pabello, (0-3-0) in a spirited battle. 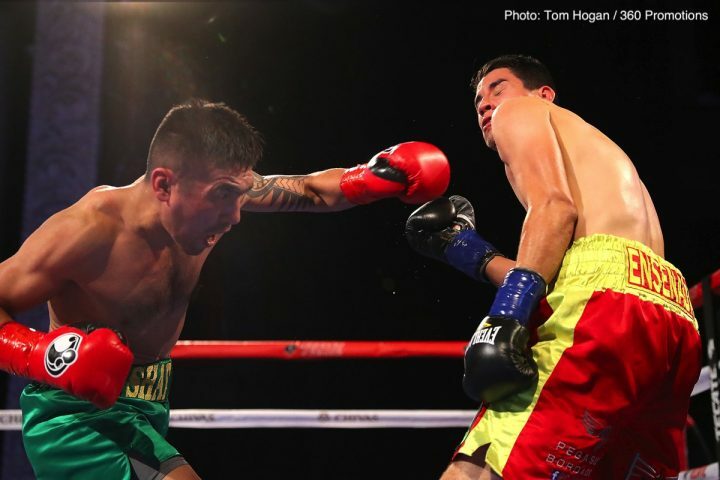 Scores were 40-36 on all three judges’ scorecards.